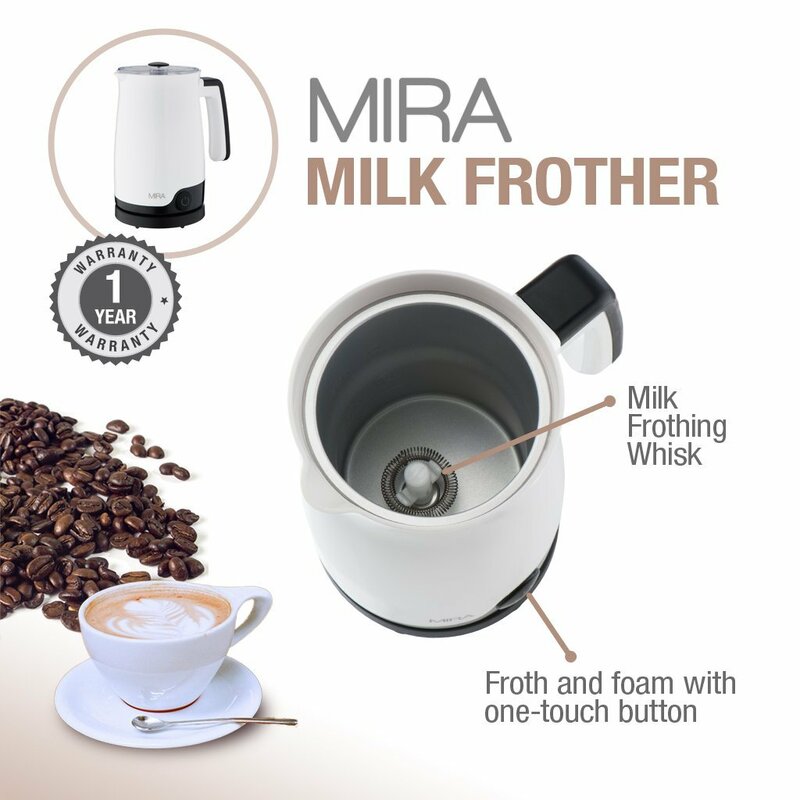 Froth and foam up hot or cold milk in just seconds with the MIRA One Touch Automatic Professional Milk Frother. This frother is perfect for creating delicious drinks for both adults and children. Milk frother creates the perfect frothing action by quickly whipping as much air as possible into the milk. 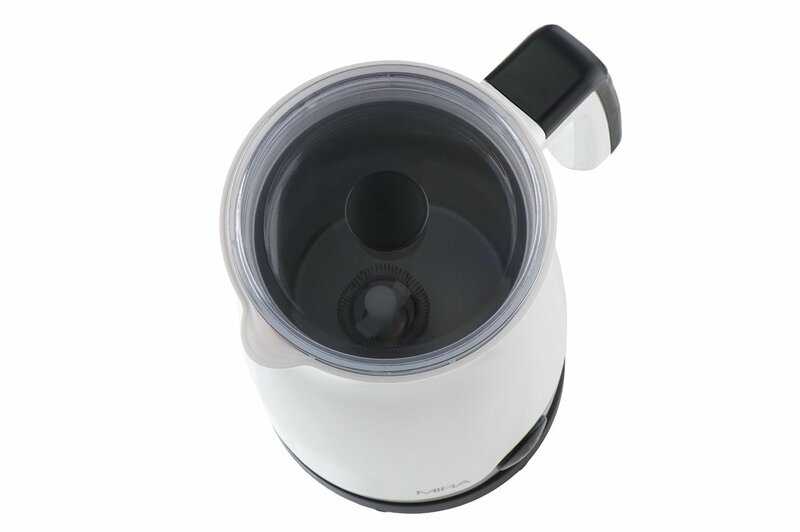 Simply add milk to the pitcher, press a button and the frother does all the work for you. 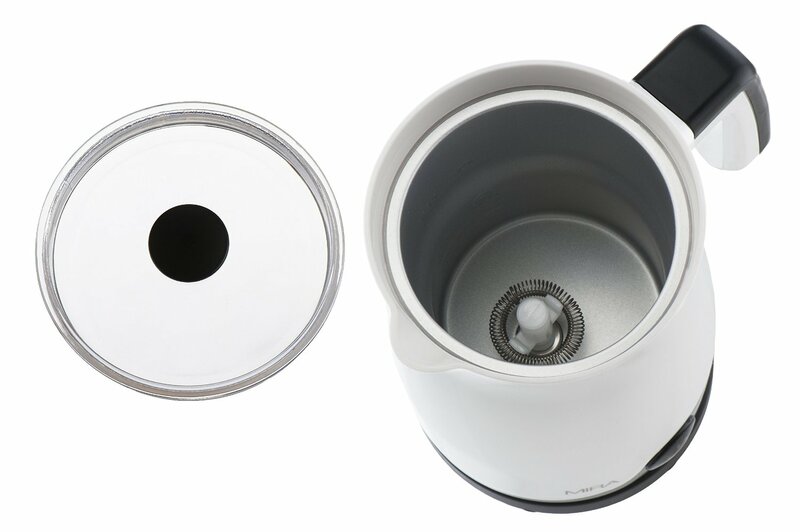 Heat up to 100ml of hot or cold milk in under two minutes for sophisticated coffeehouse-style beverages. Create perfectly rich and creamy hot chocolate, cappuccino, chai tea, or lattes. Non-stick interior makes for easy clean up. Interchangeable whisks for whipping and stirring. 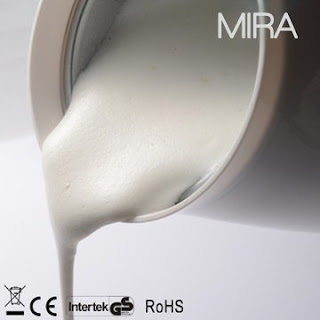 Maximum cup capacity: 250ml, maximum heating capacity: 100ml, maximum frothing capacity: 60ml. Intelligent heat control and an automatic shut off feature prevent milk from overheating and burning, so there's no barista experience necessary to make a perfect treat! A non-stick interior and easy to disassemble set-up makes clean up a breeze. Whether you're taking a moment to yourself for a midday treat or rushing to prepare your morning coffee before flying out the door, the MIRA milk frother provides a quick and easy way to enjoy a delicious café treat every day, without breaking the bank. Specialty coffeehouse drinks are delicious treats, but they're no friend to the wallet. 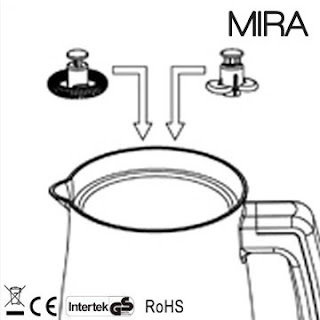 Turn your home's kitchen into a chic café with MIRA's One Touch Automatic Professional Milk Frother, the perfect appliance to replace those expensive coffeehouse runs. This easy-to-use frother quickly whips up hot milk foam for restaurant-quality coffee drinks for adults, or mugs of spiced cider and hot chocolate for little ones. 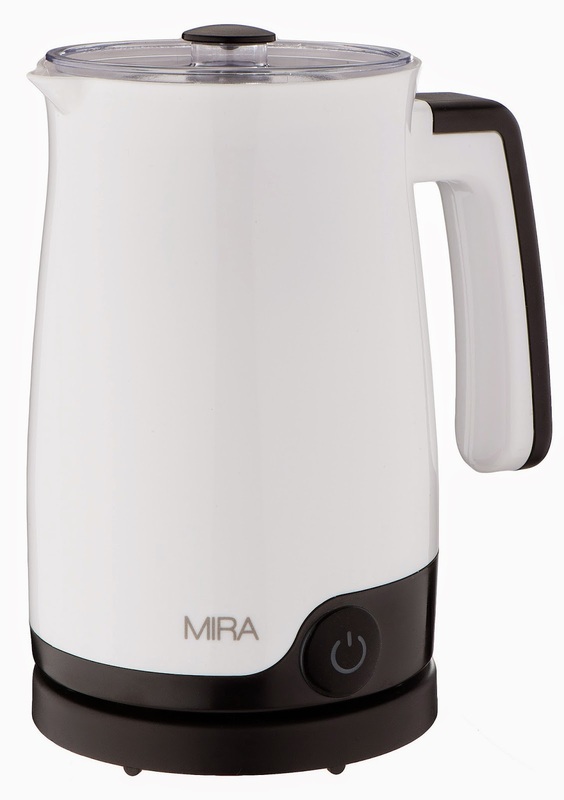 I was super excited to get to try this Electric Milk Frother and Cappuccino Maker by MIRA. Everyone who knows me, knows I LOVE a fancy decadent beverage. From flavorful Iced Coffees, home made hot chocolate. foamy cappuccino, chai tea/coffee and lattes. I love that the heating element keeps the milk from scorching or burning. I like how this milk frother is a lot easier to use than you would imagine. It works fast and cleans up easily. I recommend it!